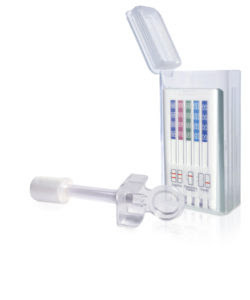 The T-Cube oral fluid drug test is intended for employment and insurance testing, and offers fast and convenient oral fluid detection for multiple drugs assays. Oral fluid drug screening simplifies collection processes and protects against specimen tampering— allowing you to make informed decisions about substance abuse. You want to stay three steps ahead of your competition by maintaining a safe organization, reducing your Workers' Comp costs and letting your customers know they've hired the best company for the job.